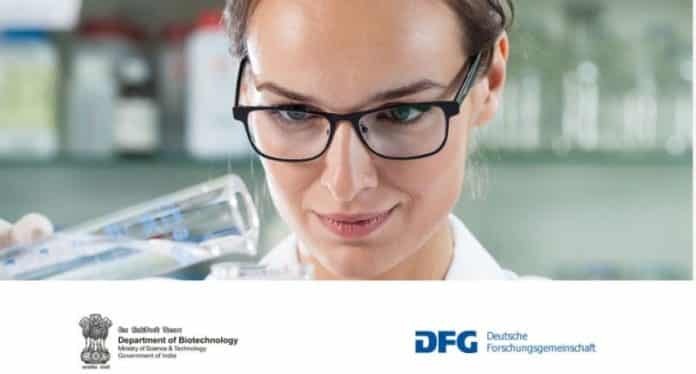 The Department of Biotechnology (DBT) and the German Research Foundation (DFG) offer synchronized financing for fundamental research projects in all areas of the life sciences. The Department of Biotechnology (DBT) and the Deutsche Forschungsgemeinschaft (DFG, German Research Foundation) wishes to inform the German and Indian scientific communities that effective immediately, it’s possible for teams of German and Indian researchers to seek synchronized financing for integrated IndoGerman cutting-edge fundamental research projects proposing innovative approaches in the academic disciplines covered by the Department of Biotechnology (DBT), Ministry of Science and Technology, Government of India, with a duration of up to 3 years. DBT and DFG expect that proposals submitted under this funding initiative describe ambitious projects of curiosity-driven research that don’t just benefit from but essentially need international collaboration to achieve the defined objectives. The basis for this funding initiative is the Programme of Cooperation signed by both agencies on 25 October 2012. On the German side, the regulations governing the financing opportunity, for example, eligibility criteria, proposal and entry processes, follow the financing line”Sachbeihilfe/Research Grants” (see the DFG guidelines 50.01). This also includes the duty to cooperate (“Kooperationspflicht”) within Germany for members of publicly financed non-university research institutions with permanent positions. On the Indian side, the eligibility requirements follow regular DBT regulations (see the links provided below). Proposals must be written in the English language and clearly marked as DBT-DFG tips. They may be submitted at any time of the year but need to be submitted to both DFG and also to DBT in parallel in accordance with the proposal preparation requirements of every side, respectively. While conforming to the distinct respective regulations, forms and submission procedures of both agencies, the project descriptions have to be identical in their substance. Since the projects must be fully integrated Indo-German research projects, it’s anticipated that the proposals must contain comprehensive information about the mode and essentiality of collaboration between the Indian and the German side. German researchers can only apply for funds for the German side of the joint projects; Indian researchers can only apply for funds for the Indian side of the joint projects. For meetings and visits between both sides, the rule is that the sending side has to cover the travel costs while the receiving side covers the complete local hospitality costs. Joint workshops have to be funded from the side where they take place. German applicants will detail their budgets both in the proposal file and in the online form on the elan portal. Indian applicants will detail their budgets in the DBT application form. German researchers have to submit the proposals electronically through the elan portal; Indian researchers have to submit the proposals as one consolidated PDF file via email to icone@dbt.nic.in in stipulated proforma (see links provided below). It’s important for applicants to be aware that DBT and DFG haven’t earmarked a special budget for the joint projects to be funded within this funding opportunity. 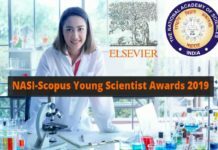 The proposals will be evaluated separately by DBT and DFG within the respective national competitions on the basis of the projects’ scientific merit/quality, the justification for scientific-collaboration and the qualifications in addition to the compatibility of the participating team members. The results of the review process will be shared between the agencies. Funding will be granted for only those proposals in which both DBT and DFG recommend funding. Unilateral funding of only 1 part of a joint initiative won’t be possible. DBT and DFG aim to review each proposal within 9 months from submission. Submission of proposals under this funding opportunity will be possible anytime starting immediately. The funding opportunity shall remain open until 31 Dec 2019; DFG and DST could issue an extension in due course. 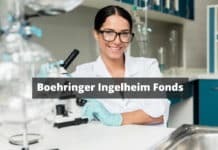 Editor’s Note: Indo-German Fundamental Research Projects in Life Sciences, DBT Indo-German Fundamental Research Projects in Life Sciences, DFG Indo-German Fundamental Research Projects in Life Sciences, DBT DFG Indo-German Fundamental Research Projects in Life Sciences. Check out the Biotecnika Times Newsletter for more such opportunities and also our social media platforms.